It’s a quiet evening, and you and your family are at home, preparing dinner and beginning to settle in for the night. The TV is on, someone is doing school work on the computer, and perhaps you’re standing at the stove. All of a sudden, all of the lights go out! It quickly turns out not to be a local or widespread outage — it’s a fault in your home’s electrical system. Whether a critical circuit is shorting out or the entire breaker box seems off-line, this is an electrical emergency. 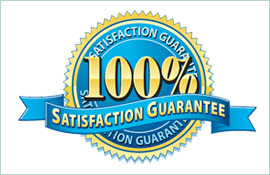 You can’t wait until tomorrow; you need to call Paul’s Electrical Services right away. 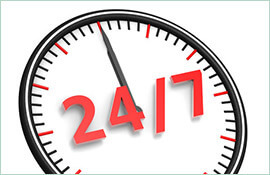 When you need an electrician in Lane Cove right away, Paul’s is available day or night, 24 hours a day. 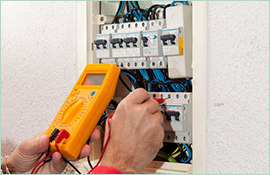 No job is too small or too large for our emergency electricians to handle. Simply ring us and let us know the problem; we’ll send an electrician on the way to your Lane Cove residence right away. We won’t just do a rushed job of fixing the fault, either. 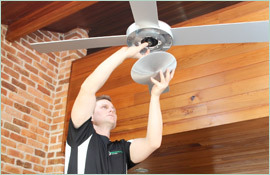 Our very experienced crew member will uncover the problem, repair it promptly and correctly, and leave you without concern that it will happen again. For a rapid response to your power problems, Paul’s is the way to go. Efficient, fast, and always available: these are just a few of the excellent benefits to using our service. For emergency service or just to schedule a regular visit for another issue, please call us now using the number provided above.